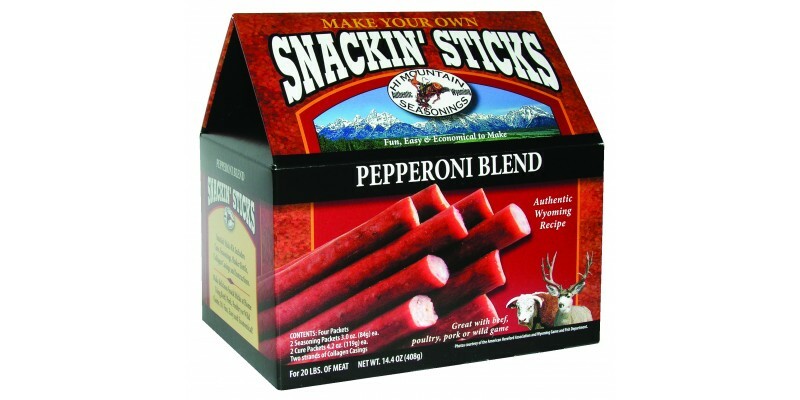 Pepperoni Snackin' Sticks Kit: Each kit contains (2) 3.0 oz. seasoning packets; (2) 4.2 oz. cure packets; (2) strands of 21 mm collagen casings, enough to do up to 20 lbs of meat!